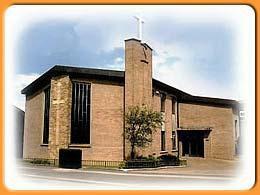 Our school has close links with Leyland Methodist Church. Reverend Phil Gough, the minister, leads our Collective Worship on a regular basis and he is also our School Chaplain. The Church is within easy walking distance from our school and we attend special acts of worship during the year. We hold our Harvest celebration and our end of term Christmas Service in Church, when parents can come along and join us. We also take part in Education Sunday. Many of our families worship at Leyland Methodist Church and their children take part in Parade Services, on the first Sunday of each month, as they belong to Beavers, Rainbows and Brownies. On other Sunday mornings the children leave the service after about twenty minutes for their own activities in 'Club Sunday'.